But what was ironic was he talked to me on the latest smart phone. because he Googled Neuropatholator on his computer. a pretty nice set of wheels. Why do Chiros love the ‘Ol Skool’ Neuropatholators so much? We have 16 years of in-house software creation and development experience. 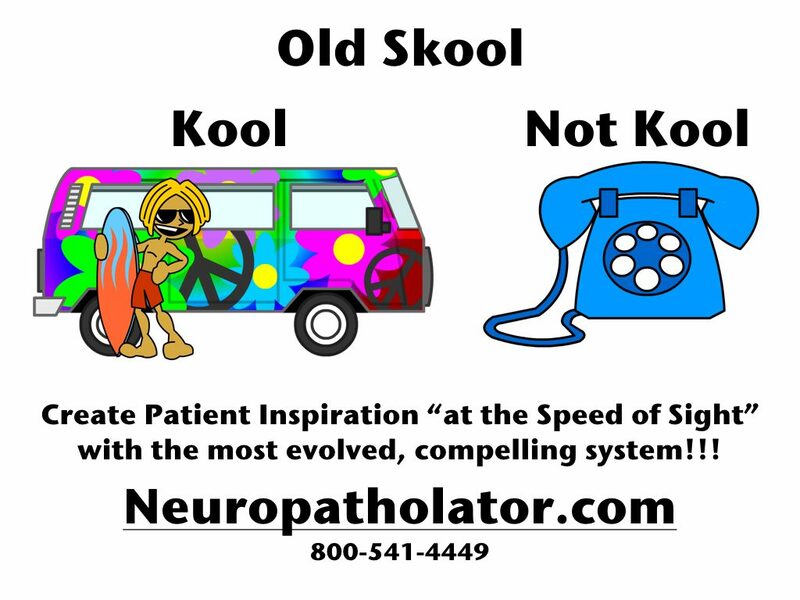 This insures you will enjoy all the value the Old Skool Neuropatholator has provided for 4 decades. AND yet Much, Much More. Here’s how you can be saying those same things too. This simple quiz demonstrates what you need and how much it costs. Q. Do you have a computer in that room already? Yes? Q. Do you already have a TV without a computer in that room? Q. Do you need the TV? And it can be controlled from anywhere in the room. Now, Compare that to a 47” (diagonal) Neuropatholator System 3 for $2,200. 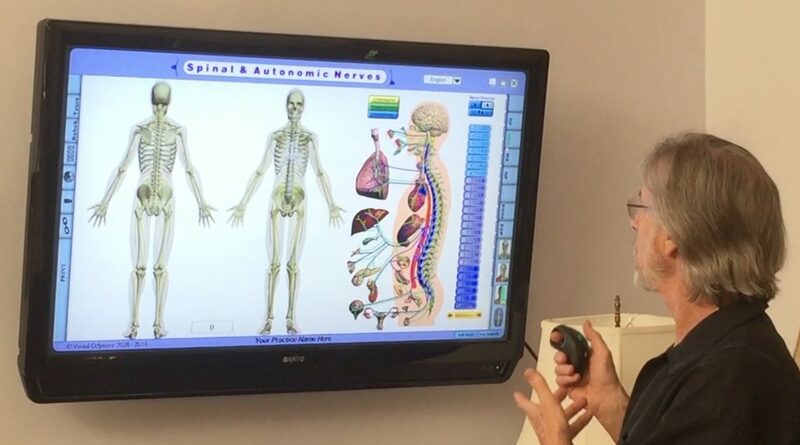 This is what it looks like on a 42″ TV using the Neuropatholator Air Mouse. Imagine it at 50″ like the $994 example above! If you already have the TV and computer, this Neuropatholator as you see it is only $397. and Kiosk Capabilities for Waiting Areas. It can even instruct and invite people to interact with it. and that it still works and looks great 4 decades later. has delivered a better experience at a much better price. I’ll be happy to give you a personal no-obligation 15 minute demo computer to computer. Want to know more Just call me at 800-541-4449.